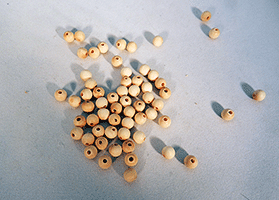 Our wood beads are unfinished and ready to paint or stain. 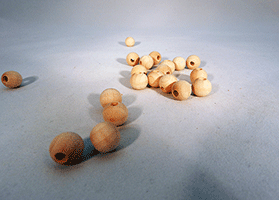 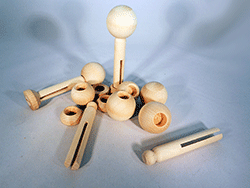 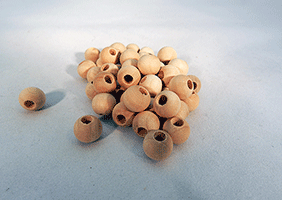 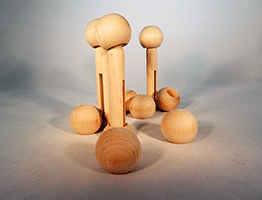 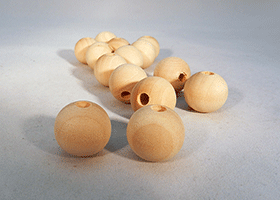 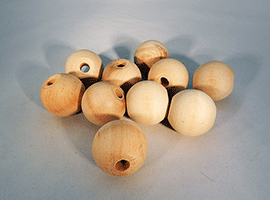 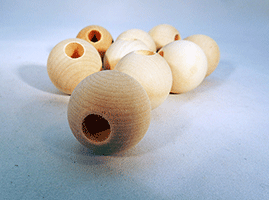 These unfinished wooden beads are great for jewelry making and for children's toys. 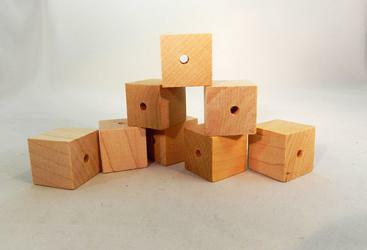 Great for making all kinds of craft projects! 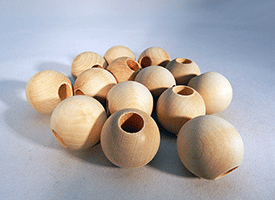 1) Many Sizes available - including varying hole sizes. 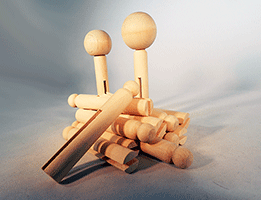 2) Review Product details by clicking on a product below. 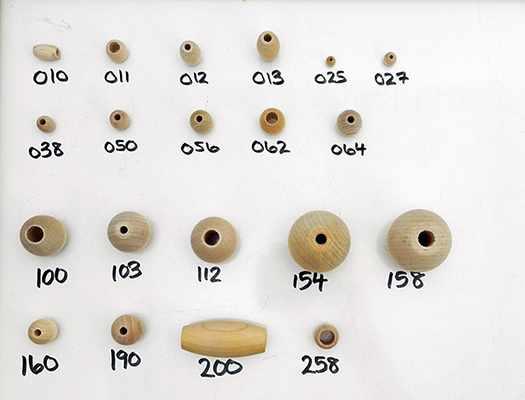 You will see a close-up photo with measurements also. 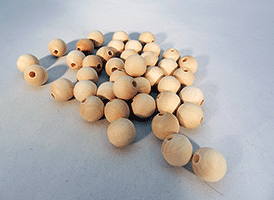 3) Some wooden beads are made in North America of solid birch or maple - see product for details or contact us for further info. 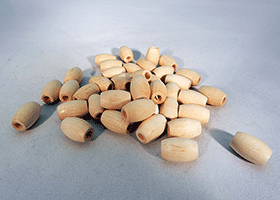 Browse below for a selection of Round wooden beads, oval-shaped wood beads, square wood beads, and barrel-shaped wooden beads. 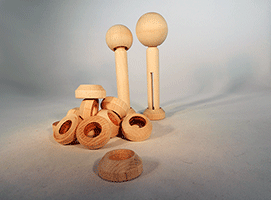 Wholesale Prices available to all Bear Woods customers, no account needed. 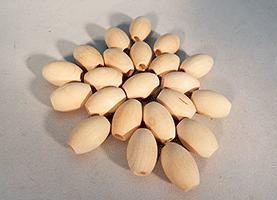 Shop with confidence at Bear Woods Supply for wooden beads for crafting and classroom projects. 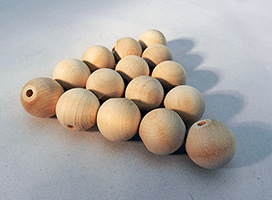 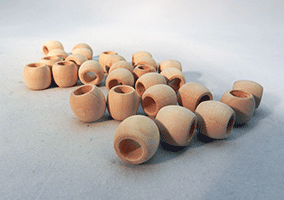 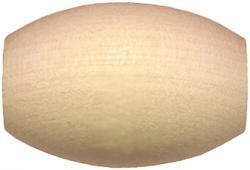 All of our unfinished wooden beads are smooth and well made, with accurate dimensions.